With its lively swirling grains and varying sap and heart content, Classic Ash flooring is a timeless choice. Due to its density and beauty, it has been used for many years in the creation of baseball bats, as well as millwork and furniture. The wide grain and porosity of this wood allows it to take a dark or light stain beautifully. There is quite a distinction between the white sap wood and the rich brown heart wood. 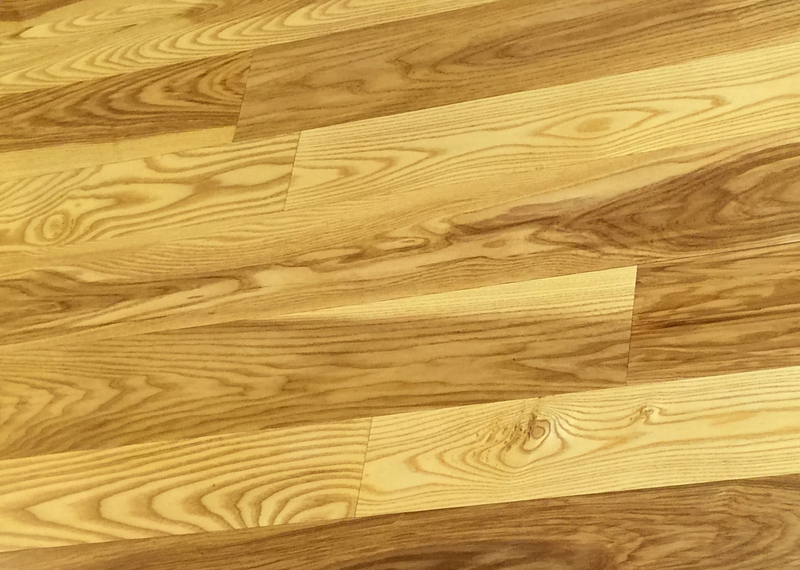 Ash has a hardness that rivals White Oak, making this a very dense and durable flooring choice. Ash is found throughout the eastern part of the United States. Often found in areas of moist soils, ash trees are typically mixed in throughout other hardwood trees. Some of the finest ash trees are found on slopes in low lying valleys.